Home ♦ Coffee ♦ Which Starbucks Stereotype Are You? 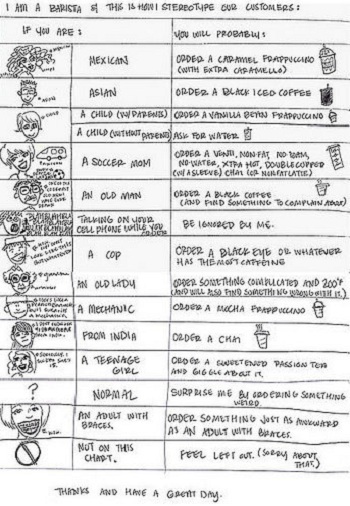 Which Starbucks Stereotype Are You? When you work in food service of any kind – bartender, server, barista, host, cook, etc. – you tend to stereotype. It’s faster that way. While generalizations might not work from restaurant to restaurant, a server can become pretty accurate when they apply those stereotypes to the customers at their store. This can obviously be a good thing or a bad thing. It can also be a funny thing. 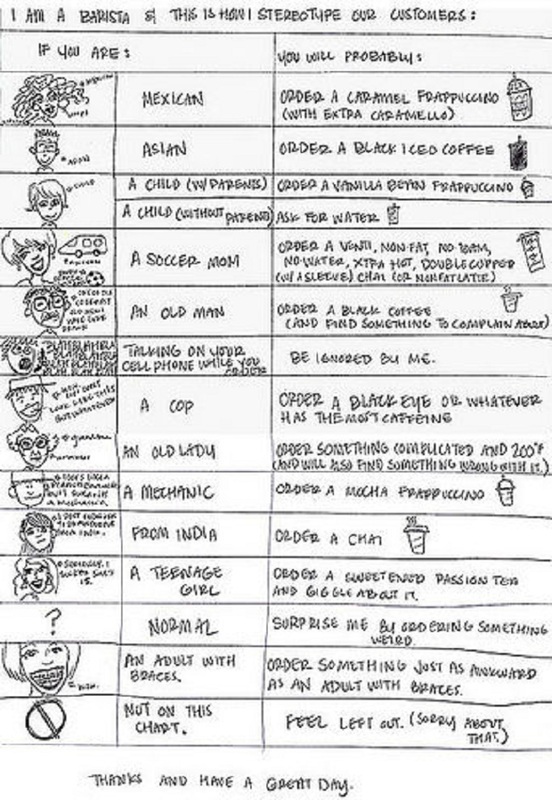 One Starbucks barista came up with a list of stereotypes (click above to enlarge) of Starbucks customers based on her experiences. You may find yourself on it, you may not… but if you spend enough time in coffee shops you may notice that some of these happen more than you’d think!